Nearly two weeks ago, the NY State Department of Environmental Conservation (DEC) released their Final SGEIS. 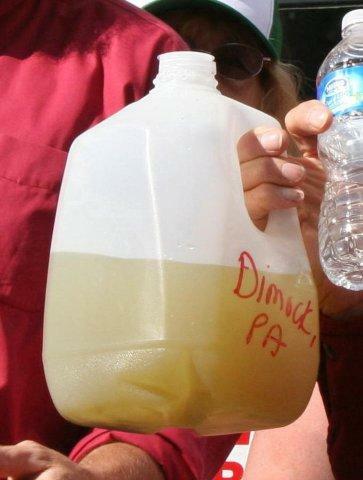 Weighing in at 2,000 pages – about 20 pounds – this report lays the groundwork for what many believe will be a statewide ban on high volume hydraulic fracturing. The SGEIS (Supplemental Generic Environmental Impact Statement) on high-volume horizontal hydraulic fracturing supplements the existing environmental impact statement for oil, gas, and solution mining that was adopted in 1992. The original scoping document called for an SGEIS to address just a handful of issues that hydraulic fracturing would present including increased water use for drilling and the impacts of multiple wells at a single well pad. Over the years the document grew as its scope expanded. Now, with the completion of the SGEIS, there is just one more official step in meeting the State’s Environmental Quality Review Act (SEQRA): issue a formal “findings statement”. The “findings statement” is legally binding and cannot be issued any sooner than 10 days after the release of the Final SGEIS. What’s different about the Final SGEIS, besides its heft, is the amount of effort that DEC put in to gather comments from medical and public health professionals, environmental organizations, municipalities, industry groups, and other members of the public; the review of the state Department of Health report; and a review drilling incidents in Pennsylvania. Chapter six focuses on environmental impacts. DEC acknowledges uncertainty about the effectiveness of mitigation; the inability to quantify potential risks and impacts to environment and public health; and that some significant adverse impacts simply can’t be avoided. They list potential impacts on water resources, ecosystems, wildlife, air resources, local communities, local economies, and transportation. DEC also brings up additional concerns about radioactive materials that are released during drilling and the potential for man-made earthquakes. 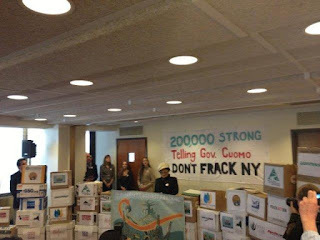 When considering drilling’s impact on greenhouse gases, DEC cites New York’s long-term policies aimed at reducing greenhouse gas emissions through a reduction – not an increase – in reliance on fossil fuels. At the end of the process, DEC Commissioner Joseph Martens must file a findings statement that describes how the state moves forward. The Final SGEIS provides three alternatives: no action, a phased-permitting approach, or allowing green and non-chemical fracking technologies and additives. Many think it’s likely that Martens will choose the “no action alternative”, especially given Cuomo’s statement in December calling for a ban. Under the “no action” alternative, DEC would deny applications for hydro-fracking that uses more than 300,000 gallons of water. High-volume hydraulic fracturing, which uses 5 – 7 million gallons of water per well, would not be allowed. ... but getting to the NY State Dept. of Environmental Conservation website to read it might be difficult. Apparently traffic is heavy and the site is overwhelmed. Late on Wednesday, May 13 - at 4:05 pm eastern time - the DEC press office sent out notification that the DEC had issued their final SGEIS. It's huge - so large that the document has been broken into small chunks of "downloadable" size that you can download - IF you can get onto the site. The appendices are full of splendid info, including the DOH report issued in December in which the Dept. 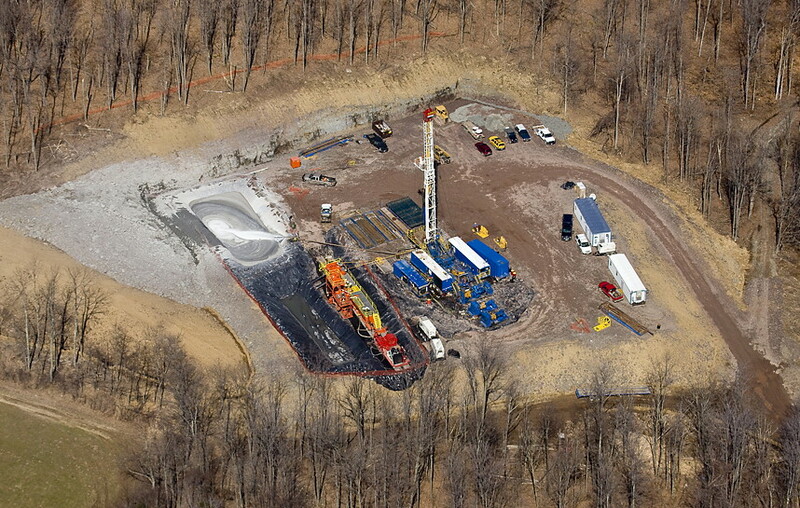 of Health concluded that High-Volume Hydraulic Fracturing "should not proceed in New York." 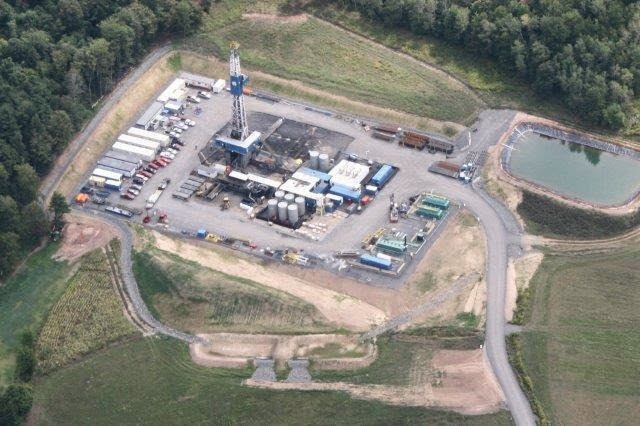 The state Department of Environmental Conservation (DEC) today released the Final Supplemental Generic Environmental Impact Statement (FSGEIS) for high-volume hydraulic fracturing that identifies and examines continued major uncertainties about potential significant adverse health and environmental impacts associated with the activity. After a required 10-day period, DEC will issue its formal Findings Statement, in accordance with the State’s Environmental Quality Review Act (SEQRA). The FSGEIS incorporates the State Health Department Public Health Review report issued December 17, 2014, which determined there is significant uncertainty about adverse health outcomes and whether mitigation measures could adequately protect public health, including impacts to air, water, soil and community character. DEC first issued a draft SGEIS for HVHF in September 2009 examining the potential impacts from HVHF, including: contamination of drinking water supplies, groundwater and surface waters; air pollution; spills; wastewater and solid waste treatment and disposal; ecological impacts; and adverse effects on communities. Concurrently, DEC also evaluated whether mitigation measures would be sufficient to prevent adverse impacts to the environment and public health. A revised draft SGEIS was released in September 2011, which proposed to: prohibit drilling in the New York City and Syracuse Watersheds, state-owned lands and primary aquifers; restrict HVHF on certain forest and grassland areas; and require additional drinking water mitigation measures. The 2011 draft also expanded the earlier review of socio-economic and community impacts. Since the issuance of the 2009 draft SGEIS, and the subsequent 2011revised draft SGEIS, DEC has gained a more detailed understanding of the potential impacts associated with high-volume hydraulic fracturing with horizontal drilling from: (i) the extensive public comments from medical and public health professionals, environmental organizations, municipalities, industry groups, and other members of the public; (ii) its review of reports and studies of proposed operations prepared by industry groups; (iii) extensive consultations with scientists in several bureaus within the NYSDOH; (iv) the use of outside consulting firms to prepare analyses relating to socioeconomic impacts, as well as impacts on community character, including visual, noise and traffic impacts; and (v) its review of information and data from the Pennsylvania Department of Environmental Protection (PADEP) and the Susquehanna River Basin Commission (SRBC) about events, regulations, enforcement and other matters associated with ongoing Marcellus Shale development in Pennsylvania. During the review process, DEC hosted numerous public forums and received more than 260,000 public comments. The FSGEIS includes a lengthy summary of the public comments and DEC’s Response to Comments. The Response to Comments, which is over 300 pages long, systematically reviews each type of impact and the public comments about the impacts and potential mitigation measures. In it, DEC recognizes extensive uncertainties about the impacts and how to mitigate them. A copy of the FSGEIS can be found at: http://www.dec.ny.gov/energy/75370.html.